Marketing credit cards can monetize your website, whether you want to advertise credit cards on your niche blog or market credit cards on your website directory, and it’s simple to advertise credit cards, plus it’s absolutely free. Marketing credit cards can be profitable, as commissions for a single sale can be as high as $150 or more, plus everybody needs credit cards and there is a credit card for every need, so whether your website is about relationships, football, college life, or puppies, you’ll be able to market credit cards that fit your audience. You can also market Credit Card Directories if you have a shopping website or financial blog and want to add a section for credit card listings from various issuers. If you don’t have a website already, there’s also a program that will provide you with your own affiliate marketing website with built-in affiliate products ready to advertise. Just follow these basic steps to market credit cards on your website. Join a Credit Card Affiliate Network. Credit card affiliate networks are the middle-men between the credit card issuers and your website. They provide you with marketing materials to promote credit cards, track all of your sales, and pay you commissions. All you have to do is place the advertising links on your site. If you have a niche website and want to market a particular credit card category (e.g., Airline Rewards Credit Cards or Hotel Rewards Cards), then you’ll want to make sure the affiliate networks you join offer the particular credit cards you need. The following credit card affiliate networks offer a wide range of advertiser credit cards to promote on your website, so they are likely to offer credit cards that will fit into your particular niche, and they offer multiple issuers if you want to create a credit card directory. It’s absolutely free to join these networks and start marketing credit cards. iCommissions offers a wide range of credit cards and other financial products. CommissionSoup offers a wide range of financial products including credit cards, as well as many different types of consumer products. FlexOffers.com offers an extensive selection of credit cards as well as a wide variety of additional affiliate marketing products with many different variations of marketing content available. Nationwide Card Services offers a user-friendly interface with a wide range of credit cards as well as other financial products. AcclaimNetwork offers many different credit cards as well as other products. Sunspot Web offers a variety of credit card programs. 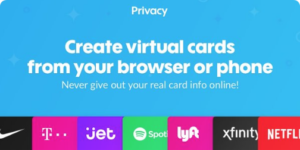 Unlike the other affiliate networks listed here, Credit.com doesn’t provide credit card advertising for specific credit cards. Instead, they provide general credit card and financial product advertising links, which direct customers back to Credit.com product directories, and you then earn a commission on any resulting sales. So if you want to advertise credit cards to your readers, you can suggest they review various card offers from Visa, MasterCard, American Express, Discover, and more, and when they click on the link, they will reach a Credit.com directory where they can compare credit cards and apply online. Some larger affiliate networks offer credit card advertising as well, including CommissionJunction, LinkShare, and the Google Affiliate Network, but unless your website can produce thousands of sales a month, you’re more likely to be approved to market credit cards through the smaller credit card affiliate networks, although you can still sign up for these larger networks to market alternative affiliate products. Your website or blog will need to be approved before you can start marketing credit cards, but as long as your website is basically professional, you shouldn’t have a problem being approved. 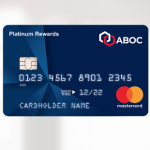 Once approved, you’ll receive access to an online account where you can select various marketing materials to promote credit cards on your website. You can market credit cards on your website using banner advertisements or text links. Banner advertisements are a simple and effective way to advertise credit cards on your website, especially for niche website marketing, as banner advertisements attract attention to a credit card that is directly targeted at your viewers. If your website is about how to save money while traveling, then a large banner like the following one would attract a lot of attention from your readers. Text links can be integrated directly into your website content or used as supplemental content links on your website to provide advertising that interests your readers. For example, if you are writing about saving money with credit card cash rebates, you can promote a cash rewards credit card promotional link within your content. Several affiliate networks offer marketing content for promoting credit cards, including bullet points, credit card reviews, and various other text formats that can be used to build Credit Card Pages, or the content can be imported directly into your website through various data feeds, content downloads, or template formats, depending on the particular affiliate network, although some of these may require a little more technical knowledge to implement. Once you have added banner advertisements or text links to your website, you will be paid for actions taken by consumers when they click through your links. In most cases, you will receive a commission when a customer is approved for a credit card, but other credit cards pay a commission for each application that is submitted. If you don’t have your own website or blog, there are also build site affiliate networks available that will provide you with your own website for marketing credit cards. BuildOffers.com provides affiliate websites with built-in credit card offers as well as other affiliate product categories. That’s how easy it is to market credit cards on your website, or even to get your own credit card website with integrated affiliate products. Just select credit cards that fit your website, join a credit card affiliate network, and start adding credit card advertisements to your posts, articles, and website pages, which will hopefully provide helpful information and attractive advertisements to your readers. Should be required viewing for anyone with a credit card! can anyone help me to build my website and make it look more professional? Thank you for commenting. We’d love to hear about your credit card marketing efforts. Please feel free to comment about your results in the future. Thanks for the information. I will be applying to a few of these and see if my readers find them useful. I’ll keep you posted about the results.